If you’re looking for an incredibly powerful vinyl cutter that’s packaged in a nice and sleek body, the Cricut Maker is one of the printers that might attract you. Launched in 2017, this new invention promises nothing but fireworks as far as sparking creativity is concerned. It’s no wonder there are so many reviews vouching for it just a few months after its introduction. But beyond the glamor and glitz, how well does this cutter printer fare performance-wise? Stay with me to find out. This professional vinyl cutter stands out thanks to its powerful cutting features. In fact, the manufacturer suggests that the machine is a beast of fabric cutting. But what would you expect of a machine that comes with a fully-fledged rotary blade anyway? As you known the rotary blade utilizes both rolling and gliding action to simplify fabric cutting. Of course, if you’re planning to use it commercially, this increased cutting speed gives you the potential to attend to more customers. Best of all, you will no longer have to deal with hand-cutting because this machine can handle materials from as thick as denim and canvas to anything as light as chiffon and silk. Why Should You Try It As Opposed To Any Other Cutter? This sleek machine offers 4 kilograms of cutting pressure which is 10X more than what its sibling the Cricut Air provides. Besides that, the Maker boasts a USB port, rotary blade, knife blade and a washable fabric pen. In addition to the handy tools, the cutter also comes with unlimited access to Cricut’s rich sewing pattern library. So if you love sewing as much as you love die cutting, this will be a major boost for you. Basically, each sewing pattern provided here comes in the form of a template of the item you’d need to sew. The templates are made from paper which means all you would need to do is trace your favorite pattern on the fabric you intend to use and the job is pretty much done. So, let’s say you’re planning to make a tote bag. With a low-end vinyl cutter, you would need to produce two side panels, 2 center panels, and a strap. Once you cut out these patterns, you’d then be required to trace them onto your fabric before pinning it and cutting out the pieces ready for sewing. Heck! That’s quite dull and time-consuming. The Cricut Maker, on the other hand, simplifies this task through its Design Space software. Thanks to this all-new flexibility, all you’ll need to do is plug and play and the machine will do the rest of the stuff for you. But what in particular makes this a cutter worth dying for? Well, here’s a closer look at its combination of features. There are many reasons why rotary blades are recommended for vinyl cutters. The first major reason is that this blade type offers more customization options. So, no matter how tricky or winding your cuts are, you can always count on this blade to enjoy a flawless cutting experience. Another benefit to using the Cricut maker rotary blade is that you get to enjoy more precision on-the-job. This is achieved through the blades rolling action and gliding abilities. Of all the other Cricut machines, from Explore, Explore Air 2, Explore One, Personal/V1 to Expression and Cake, none of them come with the rotary blade. So, the Maker clearly enjoys an edge over all of them up to this point. As you know, this kind of blade eliminates the need for a backer material equaling to more design flexibility. Isn’t that so cool? Planning to cut chipboard, matboard or even balsa? This is the blade you’ll need for the job. With the ability to cut through materials as thick as 3/32 inch in thickness, the knife blade is every designer’s dream come true. Once again, you won’t find the knife blade on any other Cricut machine other than the Maker. Needless to say, this blade remains the perfect tool for making cuts on thick materials without leaving track marks. Note: In order for that to happen, though, you will need to move the star wheels on the roller bar. The Maker, just like its older siblings like the Explore and Explore Air series, comes with a premium fine-point blade. Unlike standard fine point blades (like ones found on Personal/V1), this advanced blade is capable of making intricate cuts in medium-weight and thin materials. Of course, you will need this kind of flexibility to cut your vinyl, iron-on, cardstock, and paper. Lastly, thanks to its German technology, this carbide premium blade is capable of withstanding wear and tear for long, allowing you to enjoy more cutting hours. If thick cardstocks have been giving you a hard time, the fact that Cricut Maker comes with a deep point blade is something worth celebrating. This type of blade provides a steep cutting angle of 60 degrees compared to other ordinary blades that give 45 degrees. What’s more? It is made from durable steel and a custom-made housing meaning it will give you years of service without the need for a replacement. Gambling with fabric scissors is not always a smart idea. If you’re looking to take the quality of your work a notch-higher, this particular blade will be a game-changer. It comes with a distinctive pink color which is meant to match the FabricGrip mat. This gives you the chance to determine the kind of fine point blade that’s best suited for bonded fabrics so you can make those cuts better than ever. However, you will need an iron-on backer in order to make the most of this blade. Yet another wonderful addition on the Cricut Maker is this handy futuristic invention. Essentially, the Adaptive Tool suite provides you with the assurance that even if other technologies come up in the future, you’ll still be able to customize and adopt them. This is a big win! Once you own this machine, you need not worry about other innovations that might come up tomorrow because you’ll be more than ready to accommodate them. As a quality-conscious buyer, this translates into more future value because this machine is insured against becoming obsolete in the near-future. Of course, other Cricut printers also come with the Adaptive Tool System but the one found in the Maker model is quite different. For instance, while Cricut Explore machines move the mat in and out and the carriage side-to-side, the Maker does the same but using a higher degree of intelligence. This is achieved through the gears of the drive housing interlocking with the gears of the Adaptive Tool System itself. The end result is an intelligent and gentle lift which controls the blade and adjusts the cut pressure accordingly. It seems like the designers of this machine made it with the future in mind. The expandable suite of tools is a clear confirmation of this. Within it are different tools including embossing tools and the pens/blades that we’ve already talked about. What’s more, the machine comes with incredible expansion capabilities meaning even if new tools come up in the future, you’ll be easily able to accommodate them. As it stands, this vinyl cutter unlocks your potential to make more than just paper crafts. 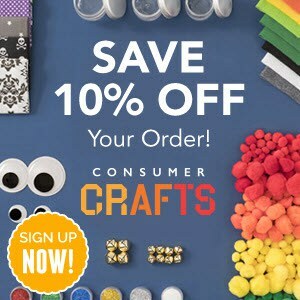 You can, therefore go ahead and make jewelry, wedding cards, scrapbooks and even party supplies. Now that we have an idea of the kind of features this machine has in store, it would be good for us to weigh how it actually performs when put to the test. The first obvious benefit to using the cutter is that it is an incredible time-saver. So, if you used to hand-cut sewing patterns for an hour or more, you can now expect to get the job done in 15 minutes or less. Apart from time-saving benefits, the Cricut Maker is big on precision. If your hand-cut crafts are full of imperfections, this vinyl printer will help you produce cleaner cuts. In fact, unlike other cutters, the fact that the Maker comes with a built-in rotary blade means you won’t need to switch machines in between sessions. The only gripe we could pick with this machine is with its limited cutting space. Compared to their arch rivals, the Silhouette Cameo machines, Cricut machines routinely fall below par in this regard. Typically, Cricut offers 12×24 inch cutting space which in reality is 11.5×23.5 inches and compared to Silhouette Cameo machines that cut 12 inches wide by 10 feet long. We expected the Maker to offer some improvement in cutting space but clearly, they retained the same old’ 12×24 inch cutting space. In our opinion, that’s a missed opportunity! Touted as one of the best vinyl cutters under $500, the Cricut Maker is certainly a cut above the rest for many different reasons. Here are just a few of them. There’s no man-made tool in this world that’s 100% perfect and the Cricut Maker is not any different. Here are a few qualms with it. Limited cutting space: If Cricut is serious about remaining perched at the top of the market, they’ll need to take this issue seriously going forward. The Design Space software, though intuitive, is quite limiting especially because it’s web-based. Weighing the merits against the demerits, the Cricut Maker comes out as a fairly good machine (its merits heavily outweigh the demerits). Its 4kg cutting power, extensive pattern library and the revolutionary rotary blade are among the reasons we think this machine is so cool. On the flipside, though, the limited cutting space and the decision to stick to Design Space software deny it a few points. On a scale of 5, this model earns itself a well-deserved 4.9. We, therefore, would like to highly recommend it to any passionate artist who may be looking to take their passion a notch higher. Feel free to share your Cricut Maker reviews and sentiments with us. We would appreciate reading some of your experiences with this work-horse. Thank you for approving the replacement of my Cricut Maker which did not read the knives. Also, thank you for your promptmess in resolving the issue.